Now that Thanksgiving is behind us, it’s time to break out the decorations, throw on some Christmas classics and get everything ready for the holidays. We all know that getting ready for the Christmas season is half the fun, but it’s what comes after that can add stress to even the most joyous of seasons: the expense of Christmas shopping. When you have a long list of friends and family to purchase gifts for, the cost can add up to a staggering amount, leaving you short on cash for other expenses. If you’ve already decided you’re doing Christmas on a budget this year, that’s great! But if not, it’s never too late to make a plan that fits your finances. Don’t have a budget? 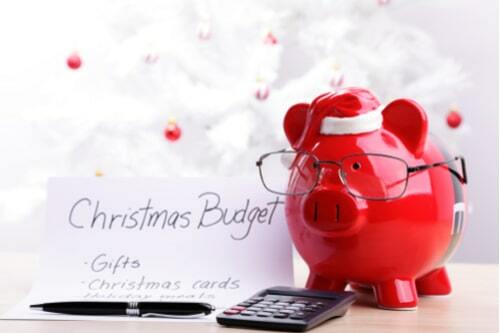 Here are 4 simple tips that can help you set up a smart budget for the Christmas season. When creating a Christmas shopping budget, it’s always a good idea to look at what you’ve spent on previous shopping outings. How many times did you overdo it and by how much? 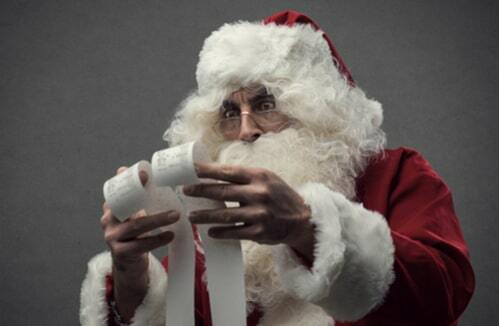 Did you incur too much credit card debt or need to reach out for title loans near you to cover holiday expenses? Ask yourself what you can do differently this year to make your Christmas a little bit easier on yourself and your wallet. Treat your past Christmas shopping mistakes as guidelines so that you can make improvements to your Christmas shopping efforts this year. In the end, making progress toward fiscal restraint and stability is all about learning from past mistakes and then budgeting accordingly. Don’t be afraid to cut out all the unnecessary expenses and just stick to the things that really matter to you and your family. Buying presents is notorious for being the primary budget of the Christmas season, so it’s important to have a solid budget in place before doing your Christmas shopping, not the other way around. When creating a comprehensive shopping budget, you’ll want to include everything Christmas, not just the presents. Everything from the decorations to travel expenses should be incorporated. If your budget is tight this year, start by cutting out the unnecessary extras first. Travel is a good example. If the cost of traveling to see your family for Christmas is putting a huge dent in your budget, it might be a better idea to stay home for the holidays. A simple amendment to your holiday budget like this one could give you extra cash to cover Christmas shopping. Once you’ve figured out what needs to be cut out of your budget this year, you can go ahead and organize a shopping list that is in line with your financial means. Now that you have a budget in place, it’s time to put together a list of all the people you want to shop for this Christmas. Keep in mind, it’s not necessary to shop for everyone. You don’t even need to include all members of your extended family. Since you’re working with a limited budget, it’s best to keep your list short and sweet. Your gift list could even be limited to only your closest friends and immediate family, which should make your Christmas shopping fast, easy and most importantly, affordable. In the world of budgeting, it is essential to keep close track of what you’re spending your money on, and your Christmas budget should be no different. But in the midst of all the excitement and distractions of crowded stores, enticing displays and irresistible bargains to be had, staying within a budget can quickly go out the window. To better keep track of everything you spend, why not do all your Christmas shopping online? You can browse gift ideas that fit your budget and do all your shopping right from the comforts of home. Plus, shopping online has many other advantages as well. You can compare prices amongst competitors, maximize your savings with online promo codes and coupons, and take advantage of free shipping. How Much Will You Save this Christmas? 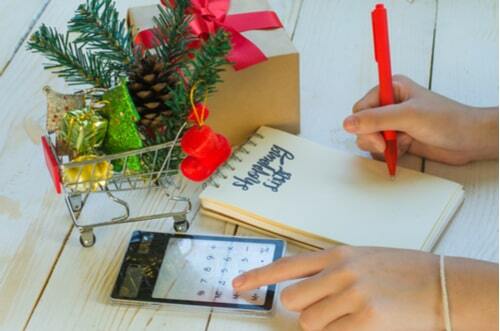 By sticking to these 4 simple budgeting tips, you may be well on your way to being a holiday budgeting pro. Remember that Christmas is about hope, love, and giving. It’s not about how much you’ve spent on others, but the love you shared with them. Related: Still short on cash? Here are 3 ways installment loan can make the holidays more festive!